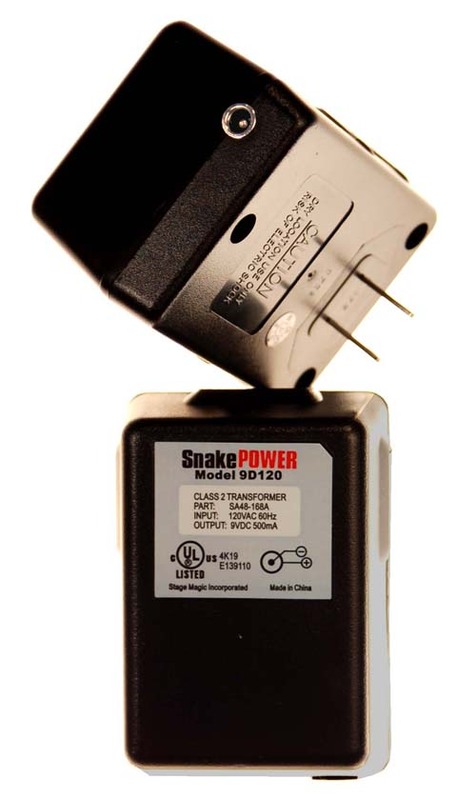 At 500mA, SnakePOWER 9D120 is the most powerful true ground isolated Class 2 Transformer on the market. It will easily power more than a dozen 9V stomp boxes, and do it super quietly. Use SnakePOWER with the Vari-Chain Power Cable System. See Power Chaining is Fine (When Done Right).